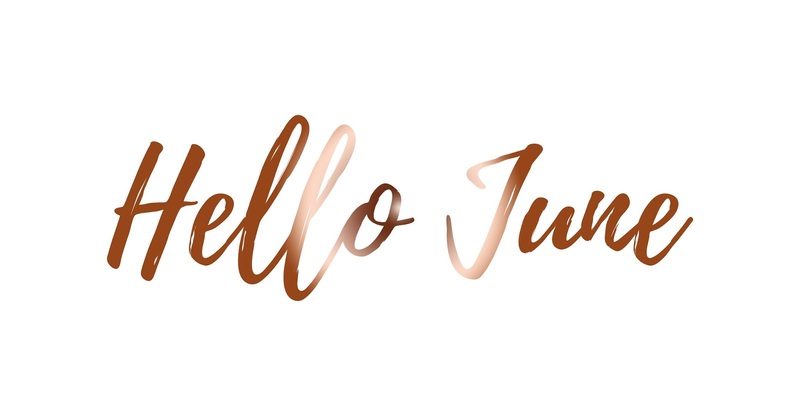 I cannot believe it's already June; the past six months have flown by so quick and it's now only four days until my Birthday and my blogiversary; eek, how exciting! I have to say June is filled with some exciting things happening! Firstly, it's my birthday and my blogiversary, two anniversaries on the same day; I couldn't be more happier! It's crazy to say my blog is turning one in four days! It doesn't seem like I've been blogging for a whole year. Secondly, on the 10th July I am going to Bloggers Ball and I cannot explain how excited I am to meet so many more people; I truly hope my nerves do not get the better of me like they did at BWB Launch! On the same day of the Bloggers Ball. I am also going on holiday to Great Yarmouth; oh it will be great to go away for a while! After my holiday there isn't much going on apart from work, more work and a lot more work after that! While also trying to figure out what I'm going to do for my dissertation because I still haven't decided, but I have ages yet anyway! I've decided I'm going to make the most of my spare time and use my camera a lot more; I want to start taking more photos of people and animals; it's something that I absolutely love to do and if you'd like me to share a recent shoot I did with my boyfriend's dog, then I'll definitely make a post all about it and share some of the 180 pictures that I got! June is a month for happiness and blogging. I want to be happier and I want to put 110% into my blog and my social media accounts as I have definitely been slacking. But at the same time, I want to improve my mental health and my body confidence too; I'm starting the gym after I've been on holiday, we'll see how long that lasts! Let me know if you're doing anything exciting in June!